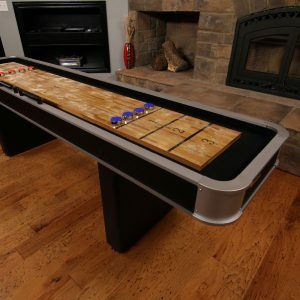 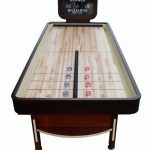 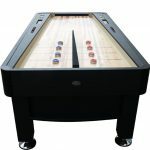 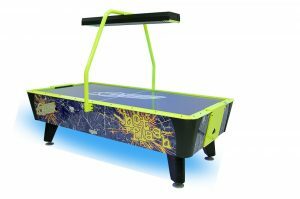 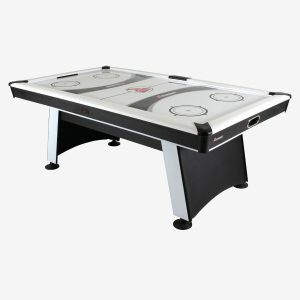 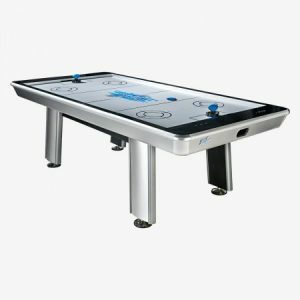 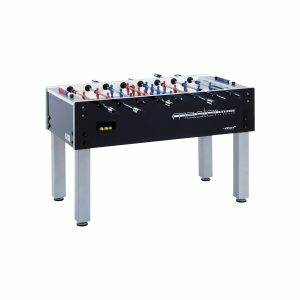 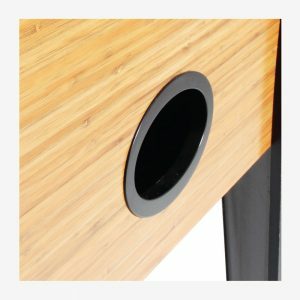 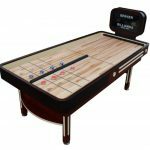 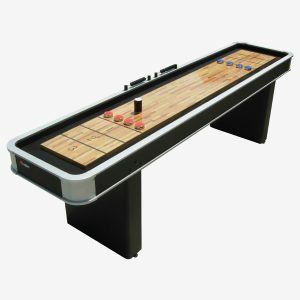 The Rebound Shuffleboard Table brings the fun of classic shuffleboard with a unique twist, this innovative game will allow you to play what feels like a 14 foot table in half the space. 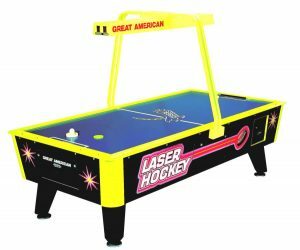 It uses the element of rebounding the puck off a cushioned wall which bounces the puck back onto the opposing players scoring side. 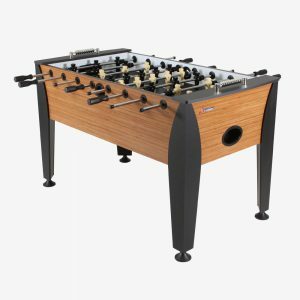 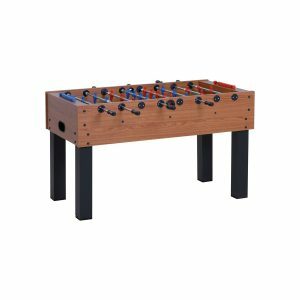 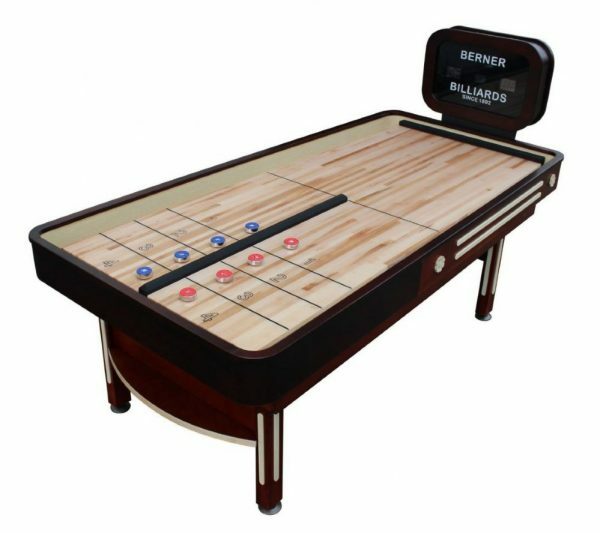 Unlike many competitors that have a playing board made out of MDF, the Berner Billiards table has a 1 3/4″ thick solid CANADIAN Maple playing surface which provides accurate play. 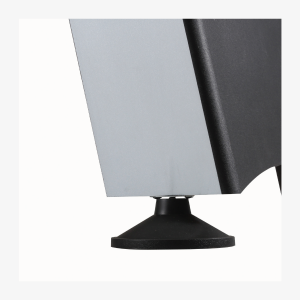 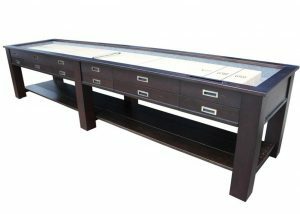 The cabinet is also solid wood and available in two finishes, either an attractive cherry laminate or a solid black laminate. 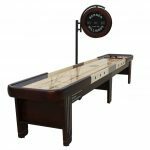 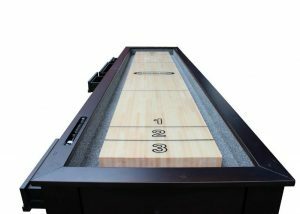 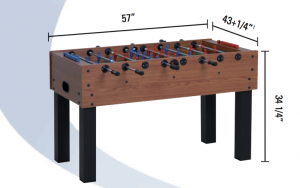 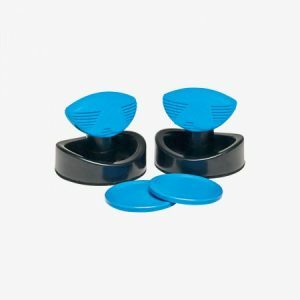 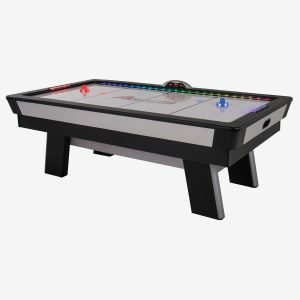 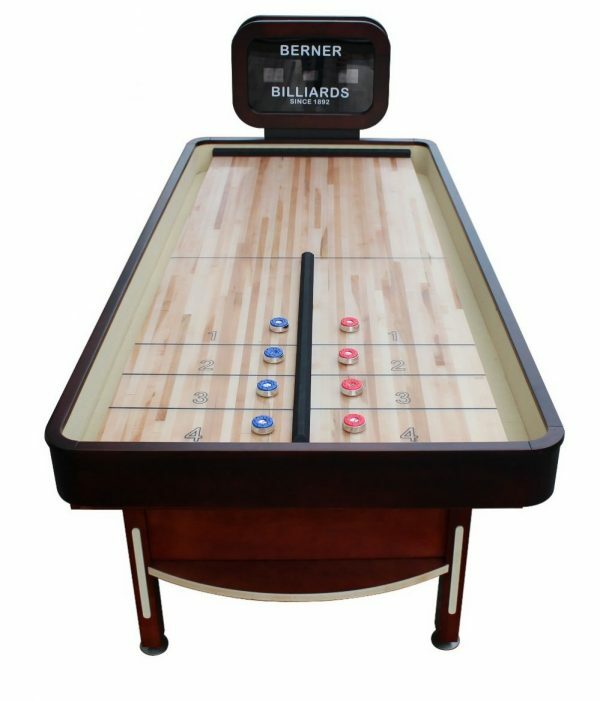 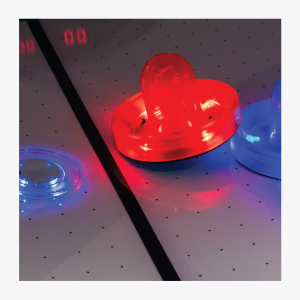 The Rebound shuffleboard table has 4 recessed cup holders, inlaid abacus style scoring and fully carpeted walls and gutters providing a fantastic rec-room gaming experience.